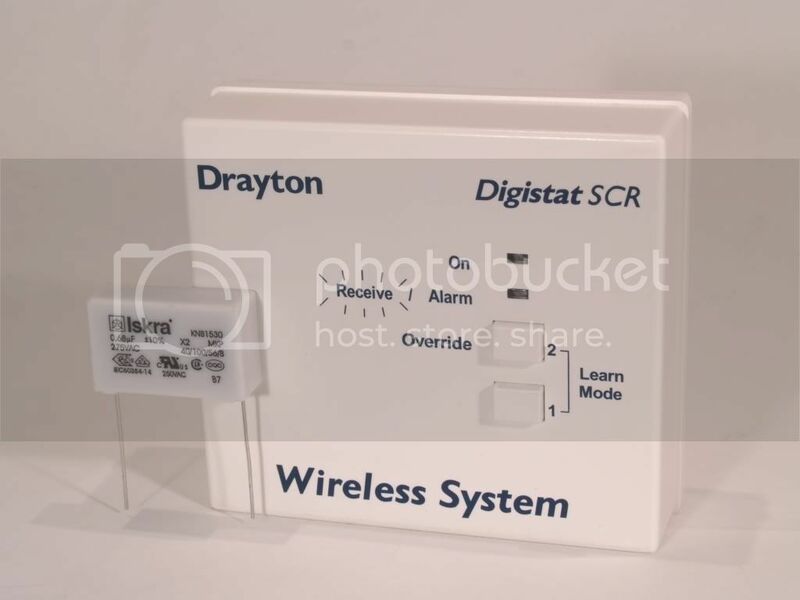 This Drayton Digistat SCR repair guide details how to replace a faulty capacitor on the circuit board within the unit. 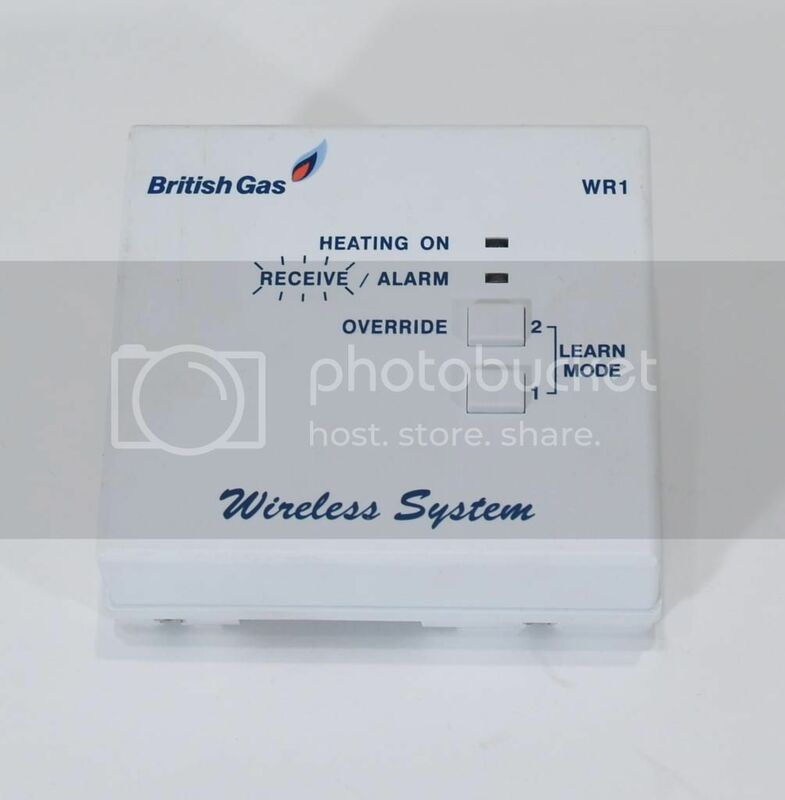 This will fix the common problem where the unit indicates that the heating is on but the switching relay does not click to turn the heating on. If you are following this guide you do so at you own risk. Turn off your electric before removing the receiver from the wall back plate that is near your boiler. There should be an isolator switch near to the receiver or turn off all the electrics at the main fuse box for your house. 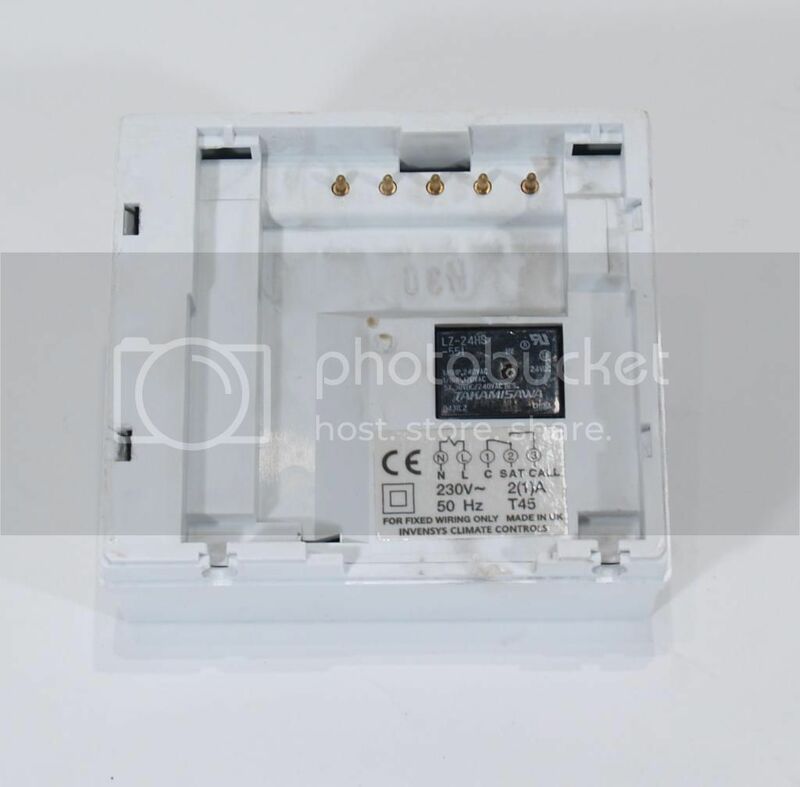 Remove the Digistat receiver from the wall plate by undoing the two small screws on the base of the unit and when loose the unit can easily be removed. Turn the unit onto its front face. There are four tabs on the unit that need to be released to separate the two halves of the unit. The plastic is thin and so some light cosmetic damage may occur. This will not be a problem as when the unit is back on the wall it will never been seen. 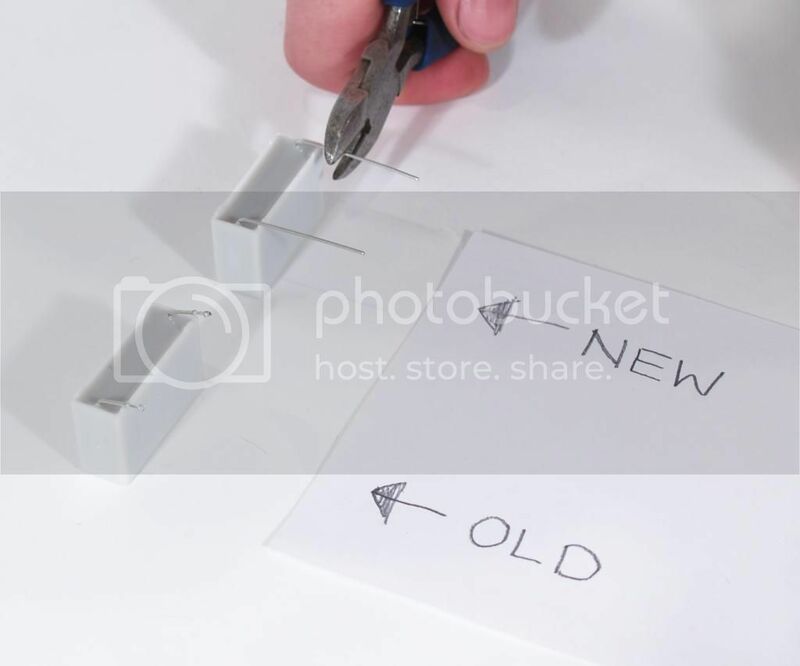 With one screwdriver carefully push out the wall of the casing whilst at the same time using the second screwdriver carefully get it into the join of the two halves and leaver the back section of the casing upwards. When the back of the casing is above the locking tab you can move on to the next tab and repeat the process. 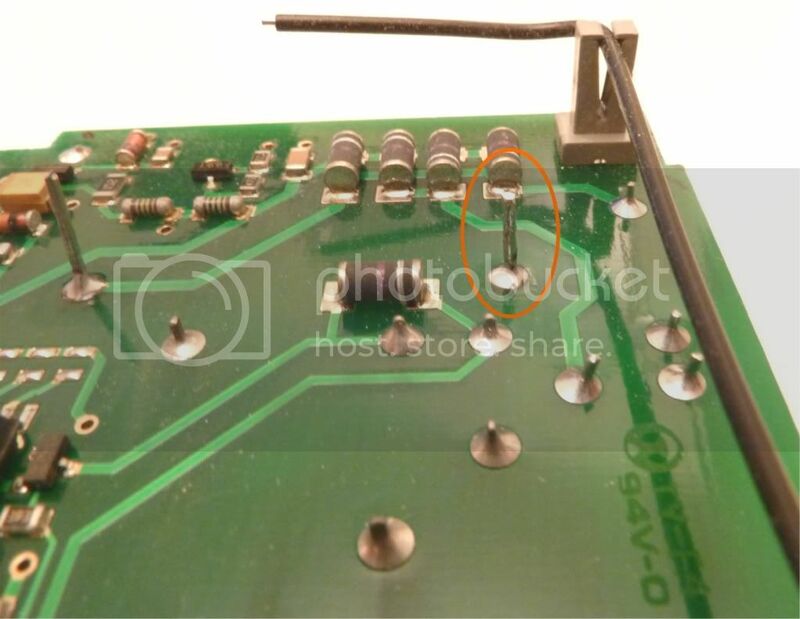 Be careful not to insert the screwdriver in too far as on some versions of PCB the radio transmitter circuit is close to one of the tabs and damage can be caused. Do the same procedure for all four tabs and the unit shall be in two halves. 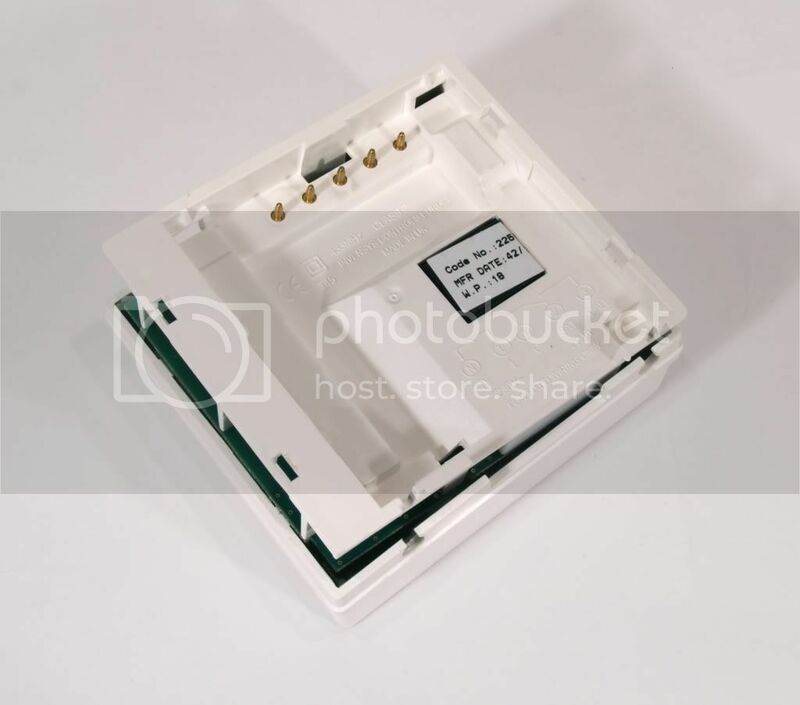 The tabs will now catch on the circuit board so just flex gently the side of the casing with your fingers and then the plastic back plate and circuit board will come apart from the front section of the case. 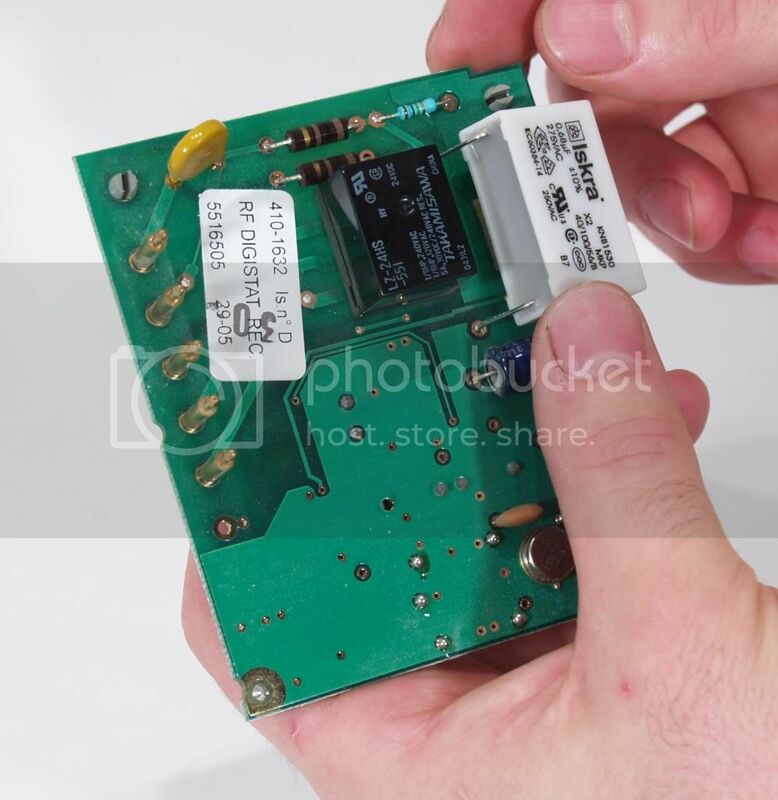 There are now two more plastic clips holding the circuit board to the casing. Release the small clip first and then the larger one. Be careful with the exposed circuit board to avoid damage. Handle the board at the edges rather than the main surface. 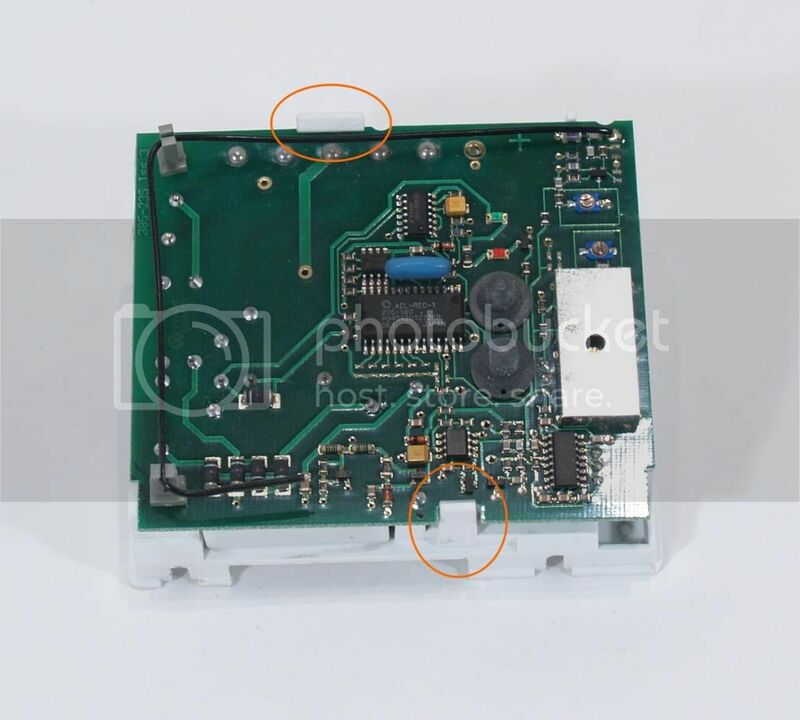 With the circuit board free it can be turned over and the capacitor that requires replacement can be seen. 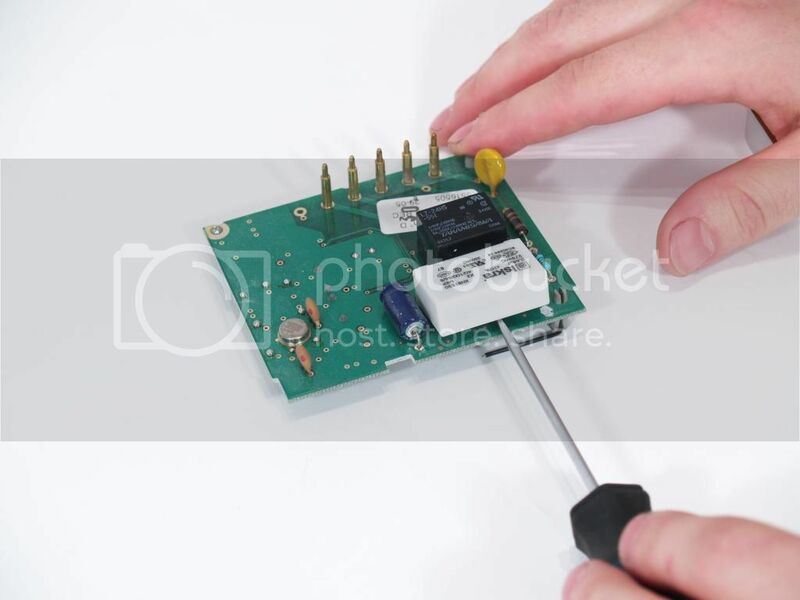 Place the circuit board carefully on to your work surface. 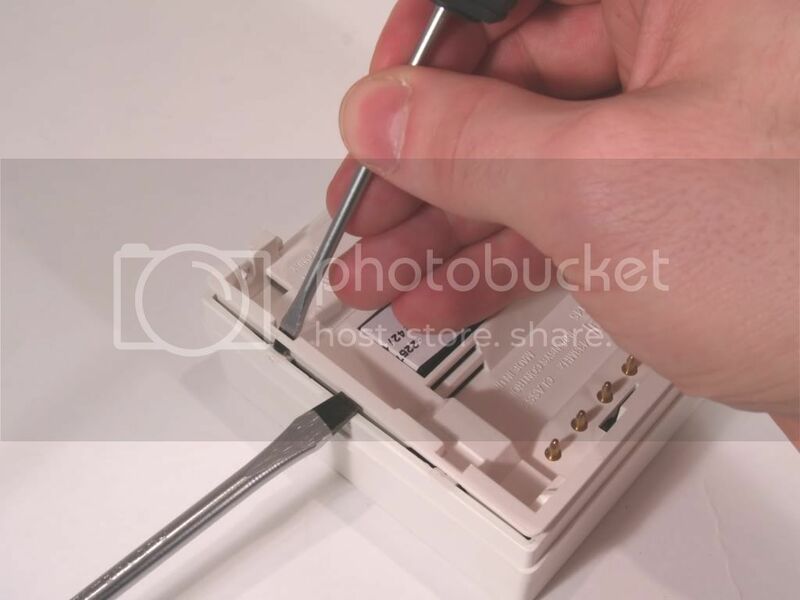 Using a flat blade screwdriver gently prise the capacitor up from the circuit board. 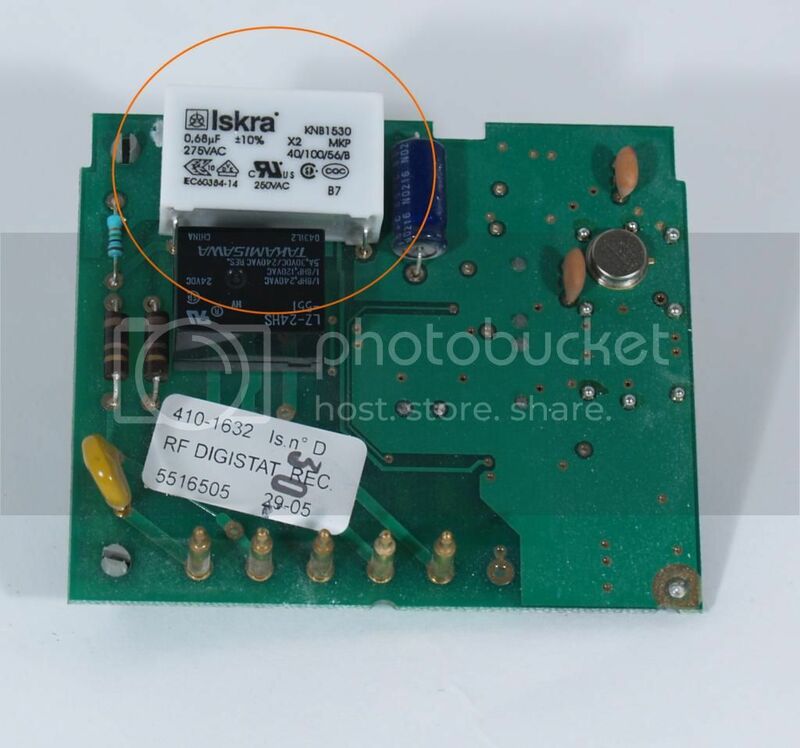 It is held with a sticky pad that is used to hold the capacitor in place during the manufacturing process of the unit and shipping. 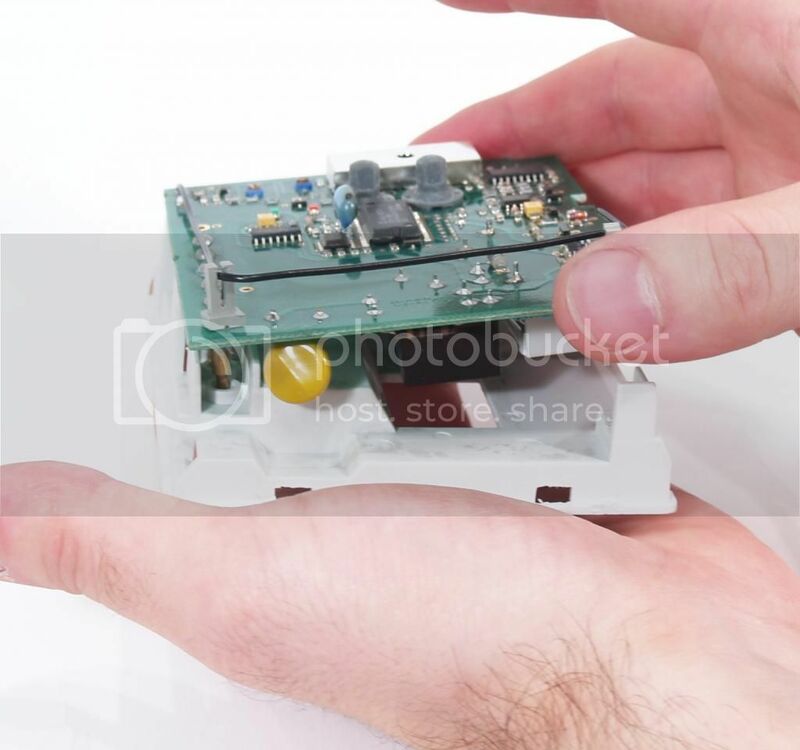 Units may now have the capacitor glued solidly to the board which are harder to move. The screwdriver method will not be sufficient on its own in this case. You will need to carefully and gradually cut into the glue using a scalpel or Stanley knife. Start at the corners of the capacitor and gradually work towards the middle. It puts the PCB under some stress so be careful only to apply enough force to aid the cutting of the glue. Be very careful of nearby components and your fingers. 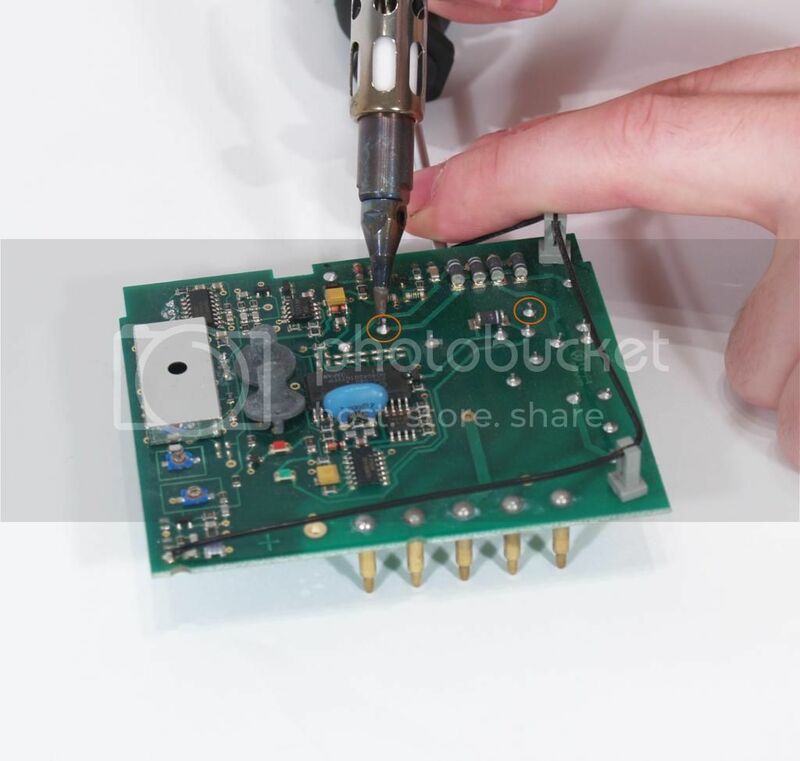 There are two methods for de-soldering the capacitor from the board. 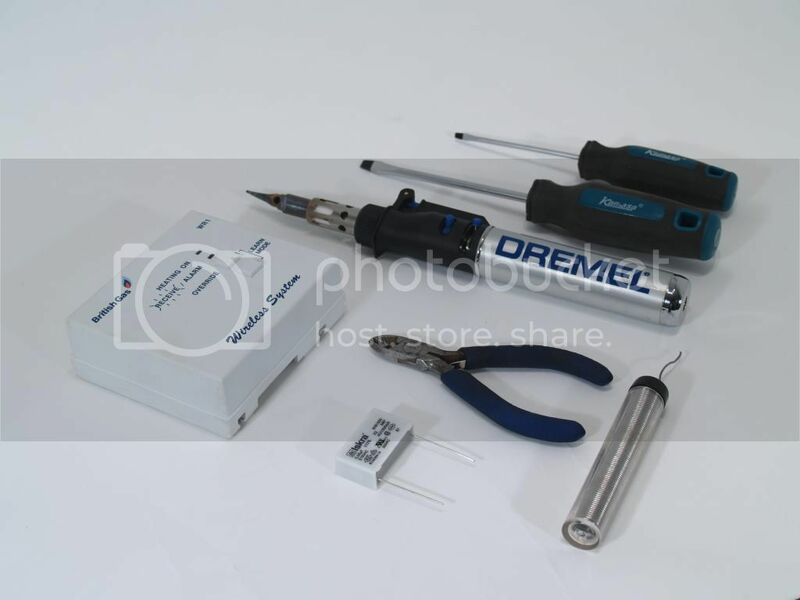 If you have solder braid or a solder sucker removal tool then you can remover the solder with these items and then remove the capacitor. If you do not have these items then there is a method that you can follow without using them. Turn the circuit board over and identify the two connections that are for the capacitor. 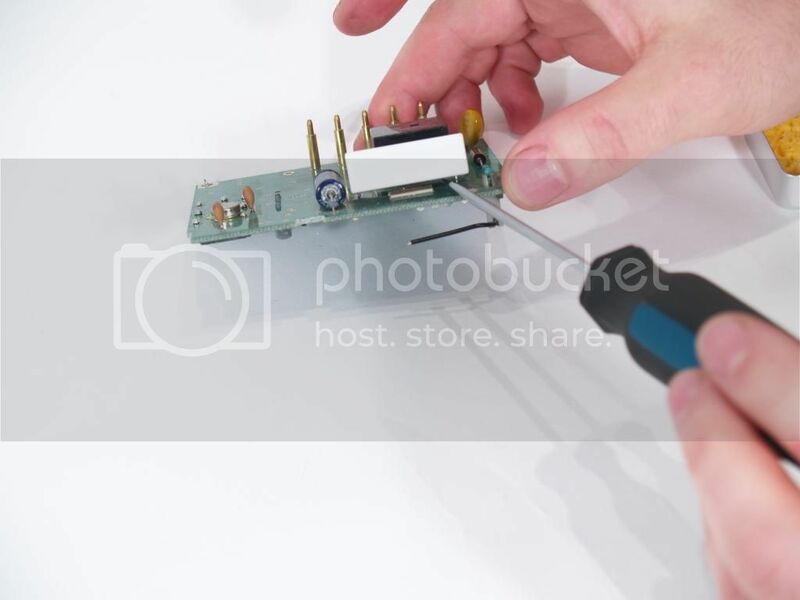 Apply heat with the soldering iron to the connections whilst applying light pressure with the screwdriver to pull the capacitor out. You will have to alternate between the two connections moving it a little bit at a time with each. The capacitor will eventually come free from the board. Bend the leads on the new capacitor at 90° to the plastic casing and cut the leads to approximately the same length as the old ones. A few millimetres longer is ideal to give sufficient lead length to solder to. You don’t want to cut the leads after they are soldered as this can cause the solder joint to crack. 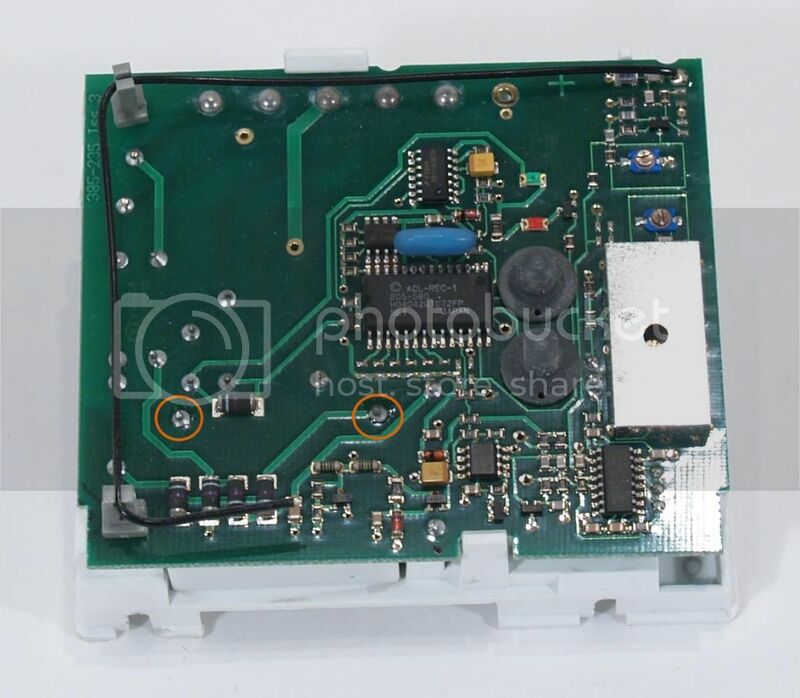 Offer the capacitor to the circuit board contacts and if the holes are clear push the leads in and the put the capacitor in place flat to the circuit board. 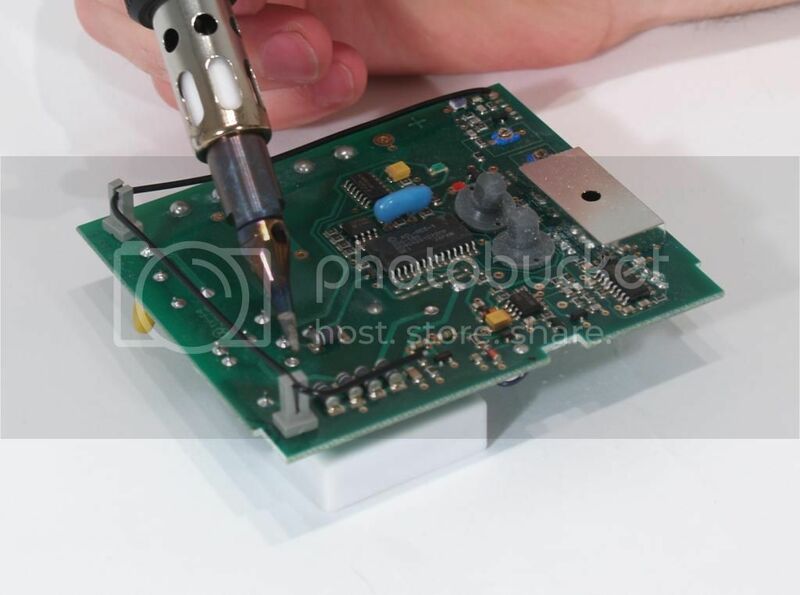 If solder is blocking the holes you will have to heat the solder in the holes whilst applying a little pressure to the capacitor to push the leads in. You will need to alternate again between the two contacts until the capacitor leads are in sufficiently. You may then need to add a little solder to each contact depending on which removal method you followed. This is an example of a good solder joint. There is not too much solder and it is volcano shaped. To achieve this heat must be applied to the lead and then the pad for the solder to stick to both surfaces. Please visit YouTube for basic soldering technique. With the capacitor now replaced the unit can now be reassembled. Insert the circuit board back into the back plate with the clips and then offer that assembled half to the front casing. Be careful to ensure the buttons are correctly seated in the casing. When they are together push the two halves until all four casing clips are fixed. The receiver unit is now fixed and it can now be replaced on the wall mounting plate next to the boiler. Once the two fixing screws are done up the power can be restored to the boiler and you can enjoy your now working central heating. Manufacturer -- Iskra Kondenzatorji d.d. 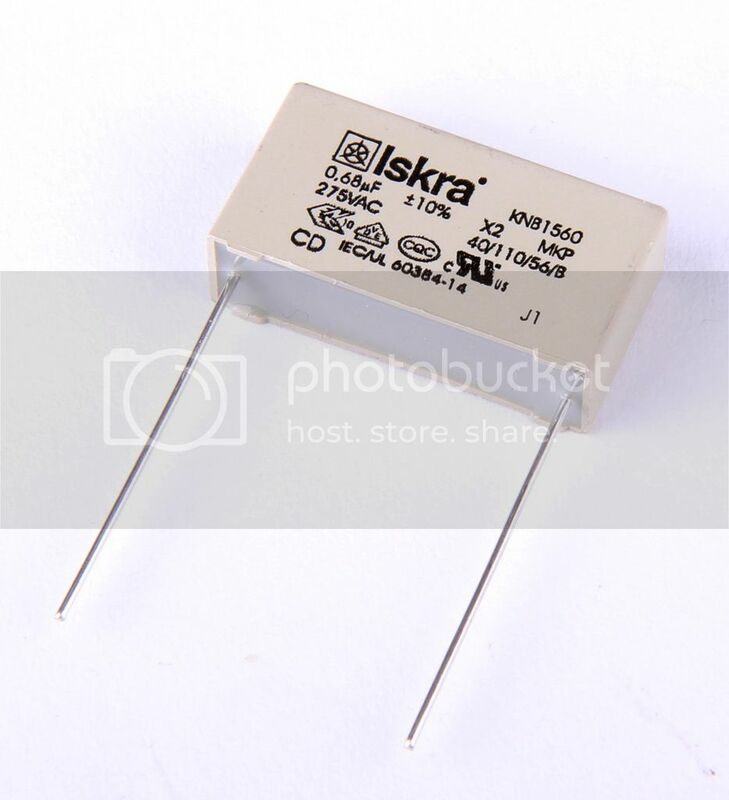 This website is for the supply of capacitors only. Any repair attempts you do are at your own risk and any information contained in this listing is for general information purposes only.